Кенет Ароу (на английски: Kenneth Arrow) е бележит американски икономист, печелил Нобелова награда за икономика заедно с Джон Хикс за за пионерния им принос в теорията на общото икономическо равновесие и в теорията за благосъстоянието. Остава в историята като най-младият човек, получавал Нобелова награда за икономика (на 51 години). Кенет Ароу е роден в семейство на евреи. Завършва Колумбийския университет с магистърска степен през 1941 г.
Arrow, Kenneth J., Gerard Debreu. Existence of a Competitive Equilibrium for a Competitive Economy. // Econometrica 22 (3). 1954. DOI:10.2307/1907353. с. 265–90. Arrow, Kenneth J.. The Economic Implications of Learning by Doing. // Review of Economic Studies 29. 1962. DOI:10.2307/2295952. с. 155–73. Arrow, Kenneth J.. Uncertainty and the Welfare Economics of Medical Care. // American Economic Review 53 (5). 1963. с. 941–73. 1968, “Economic Equilibrium” в D. L. Sills (ред.) International Encyclopedia of the Social Sciences 4: 376–88. London and New York: Macmillan and the Free Press. Arrow, Kenneth J.. Essays in the Theory of Risk-Bearing. North-Holland Pub. Co., Amsterdam, 1971. ISBN 072043047X. Arrow, Kenneth J., Frank Hahn. General Competitive Analysis. Holden-Day, San Francisco, 1971. ISBN 0816202753. 1972, и Hurwicz, L., “Decision making under ignorance,” в C. F. Carter, J.L. Ford (ред. ), Uncertainty and Expectations in Economics. Essays in Honour of G.L.S. Shackle. Oxford: Basil Blackwell. Arrow, Kenneth J.. The Limits of Organization. Norton, New York, 1974. ISBN 0-393-09323-9. 1987, “Rationality of self and others in an economic system,” в R. M. Hogarth, M. W. Reder (ред. ), Rational Choice. Chicago: The University of Chicago Press. 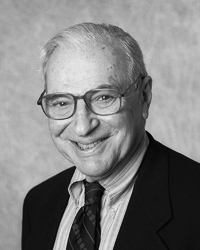 Landmark Papers in General Equilibrium Theory, Social Choice and Welfare Selected by Kenneth J. Arrow and Gérard Debreu ред. с Debreu, Edward Elgar Publishing, 2002) ISBN 978-1-84064-569-9. Arrow, Kenneth J.. Some Developments in Economic Theory Since 1940: An Eyewitness Account. // Annual Review of Economics 1. 2009. DOI:10.1146/annurev.economics.050708.143405. Последната промяна на страницата е извършена на 12 март 2019 г. в 22:22 ч.